Located in Tampa, Tampa Crossroads is one of the best chemical dependency and alcohol use treatment facility in that county. Tampa Crossroads founded since 1977 is one of the most reputable landmarks in Tampa Florida. Tampa Crossroads is a non-profit recovery organization founded by local nun and philanthropist, Sister Rose Christina Momm. Throughout the years, Tampa Crossroad has grown from a housing assistance program for the homeless to full-on chemical dependency and substance abuse treatment organization that helps patients with dependency issues and veterans dealing with issues related to trauma, housing, mental health, poverty, and legal system. The Facility offers outpatient treatment for drug and alcohol abuse which also includes dual-diagnosis support. Tampa Crossroads uses a curriculum that is rooted in SMART recovery and it does not use the 12-step treatment option. Tampa Crossroads has only one mission; to provide patient-centered, holistic and family-focused opportunities for positive change and personal accountability through research-based treatment, supportive service, and housing. With their evidence-based and family-centered approach, the facility guides its patient forward through a choice-based process, towards a drug-free sober living lifestyle. The choice-based process empowers the patients to take charge of their own life while gaining lasting results. Patients admitted into Tampa Crossroads are offered various treatment options after they undergo both physical and mental evaluation by a qualified therapist to determine which treatment option would be best effective in the recovery process of their patient. After which their therapist drafts an individualized plan to suit their patient’s needs for the duration of their stay or attendance in the facility. This facility does not offer any form of inpatient treatment, 12-Step treatment, medically assisted detox, aftercare support, and Intensive Outpatient treatment. Tampa Crossroads drafts individualized treatment options and therapy choices at the same time to ensure it works effectively on their patient’s individual need. This facility has a wide choice of therapy options which are aimed to give results in the recovery process of the patients admitted. These programs are made to accommodate all clients no matter the amount of care required or needs to be met. Each and every therapy organized by this facility is handled by an experienced and licensed professional. Founded in 1977 in Hillsborough County, Tampa Crossroads is a non-profit substance abuse recovery treatment service provider which has been operating for over 30 years of service providing its patients with a range of experienced rehabilitation treatment services. This facility is one of the best and highly recommended substance abuse rehabilitation center in the state of Florida also helps veterans and their families, offers employment services and other forms of support to men and women living in that environment, gives a chance to its patients to work in themselves both physically, mentally, emotionally and spiritually to achieve a better personality for themselves and the society at large while living a fun sober life. The staffs at Tampa Crossroads are devoted and hardworking individuals that ensure that each patient admitted into their facility gets taken care of. This facility has been influential in the recovery of thousands of people in the are and outside the area and have a lot of success stories to back up their claim. 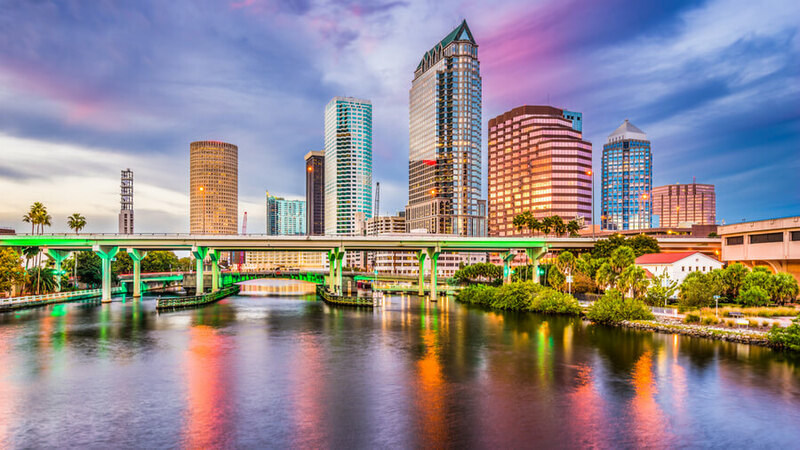 Tampa Crossroads provides it patients with a team of experienced and licensed Psychiatrists, pharmacists, CADCs, Case Managers, therapists, and nurses working as their staffs. The staffs at this residential facility are comprised of a qualified team of professionals who have been on the job for years providing treatment services and helping people live a drug-free life. The staffs at this facility are devoted to their work and make sure that anyone who gets admitted into their facility having an addiction problem actually recovers from the problem. They aid in the smooth running of the facility and make sure that each patient goes back home an addiction-free individual.